A few doctor’s items from the Orange County Historical Museum have been added to DigitalNC. These items belonged to Dr. Edmund Strudwick, a physician and surgeon from Hillsborough, N.C. 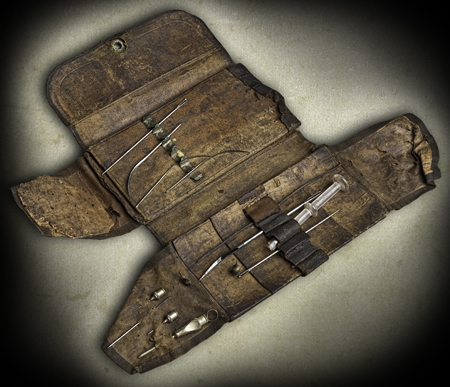 I don’t envy the people on whom Dr. Strudwick worked with those scary suturing needles, but it would be pretty neat to have your doctor arrive on horseback with all of his supplies in tow in a specially constructed medical saddlebag. 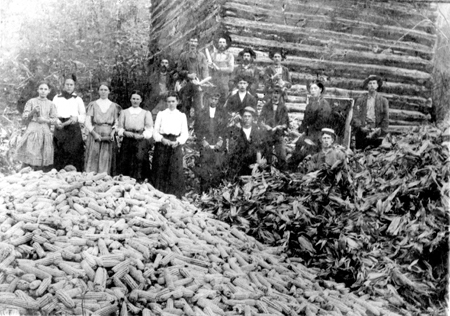 Hopefully your holiday preparations won’t include anything so arduous as shucking a mountain of corn. This photograph and other wonderful images of North Carolinians working (and playing) from the Haywood County Public Library are now available on DigitalNC – enjoy! Student yearbooks from Fayetteville State University are now available on DigitalNC. 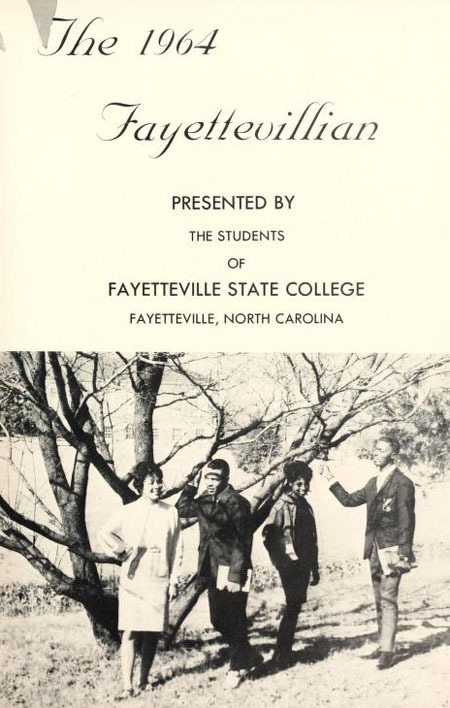 The online collection includes 53 volumes, spanning the years 1947, when the school was still known as Fayetteville State Teachers College, to 2009. Learn more about the history of Fayetteville State at the website for the Archives & Special Collections in the Charles W. Chesnutt Library. 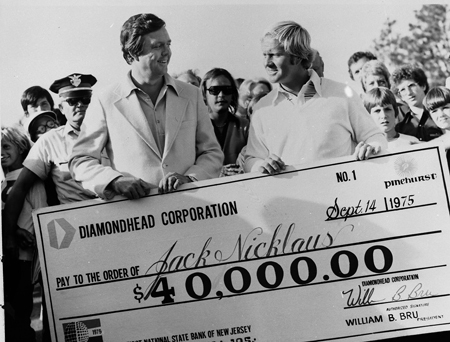 New photographs from the Tufts Archives (Pinehurst, N.C.) featuring professional and amateur golfers are now available on DigitalNC. These photographs bear witness to Pinehurst’s prominence as a mecca for golf enthusiasts during the early part of the twentieth century, and depict legendary figures such as Sam Snead, Bobby Jones, Glenna Collett Vare, Jack Nicklaus, and Peggy Kirk Bell. 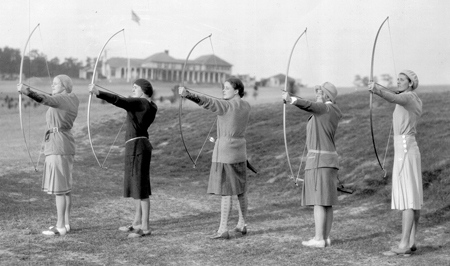 But while Pinehurst may be best known for golf, other photographs show a lot of other activity happening there as well, including horse racing, boxing matches, dog shows, archery, costume balls, and more. There’s even a picture of ventriloquist Edgar Bergen and his wooden companion, Charlie McCarthy. 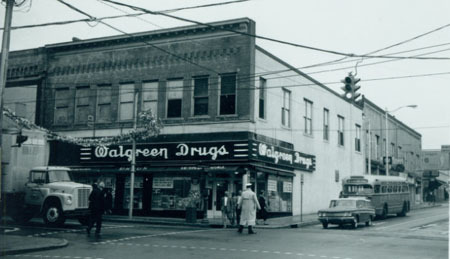 A large collection of property appraisals and photographs from the Durham Urban Renewal Records in the Durham County Library is now available on DigitalNC. The online collection contains nearly 1,500 items, most of which are photographs and appraisals for properties slated for demolition during renewal projects in the 1960s and 1970s. These records provide a fascinating look at the history of Durham, enabling users to view and study houses and even whole neighborhoods that no longer exist. Learn more about the collection — and Durham history in general — at the North Carolina Collection in the Durham County Library. Student yearbooks from Wake Forest University spanning the years 1903 to 1995 are now available on DigitalNC. 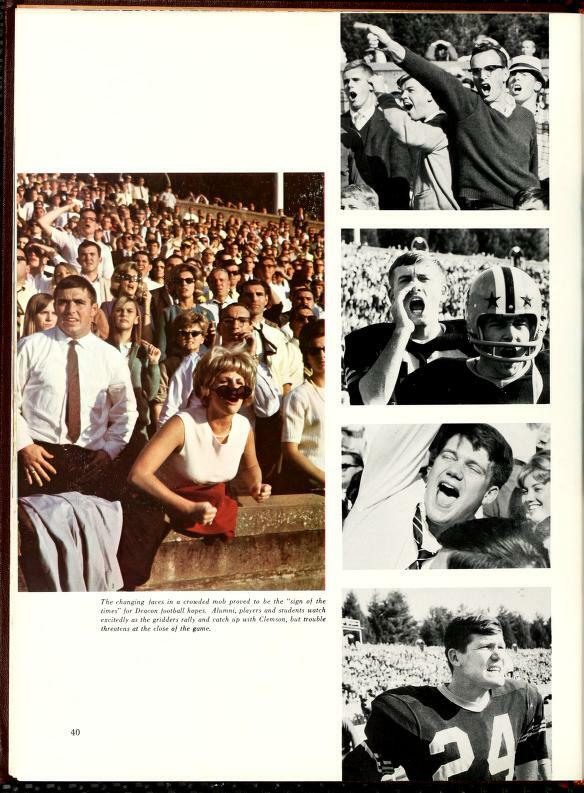 The above image, from the 1967 volume of the Howler, was taken during the 1966 Homecoming football game against Clemson University.